Div1 rated Control Station - Solution Control Systems Inc. Div1 rated Control Station - Solution Control Systems Inc. This is an explosion proof control station which is rated for class I div 1 or 2 area and approved to control a variable frequency drive from hazardous area. 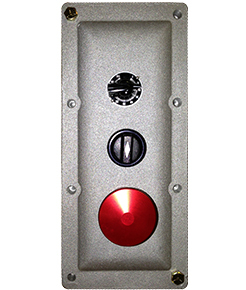 It incorporates speed control, HOA and emergency stop operators.